TCU's dean of undergraduate admissions said TCU is reevaluating their process for improvements. There were 406 faculty members who voted yes equaling 77.48 percent. Faculty have until 5 p.m. Wednesday to vote on moving forward to add DEI in the core curriculum. 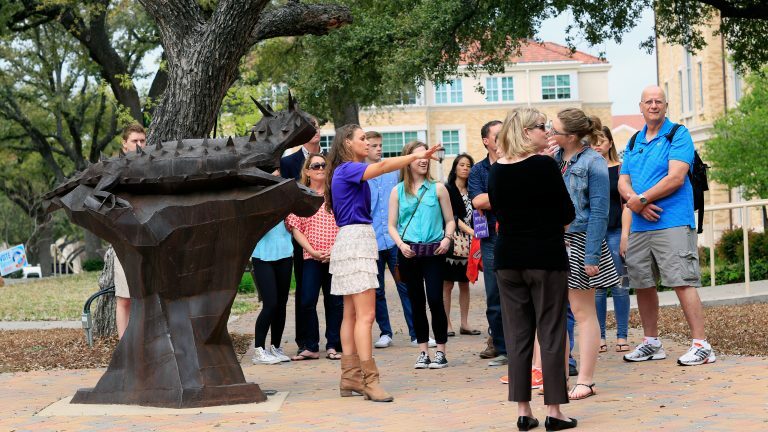 TCU has no plan to stop accepting SAT or ACT scores in the coming future. The addition of diversity, equity and inclusion classes would be the first change to TCU's core curriculum in 15 years. TCU has chosen Dr. Teresa Abi-Nader Dahlberg to be the next provost. The proposal garnered the approval of the Student Government Association last week and will be presented to the Faculty Senate Thursday. The second of three candidates will visit campus during an open forum scheduled for Wednesday.